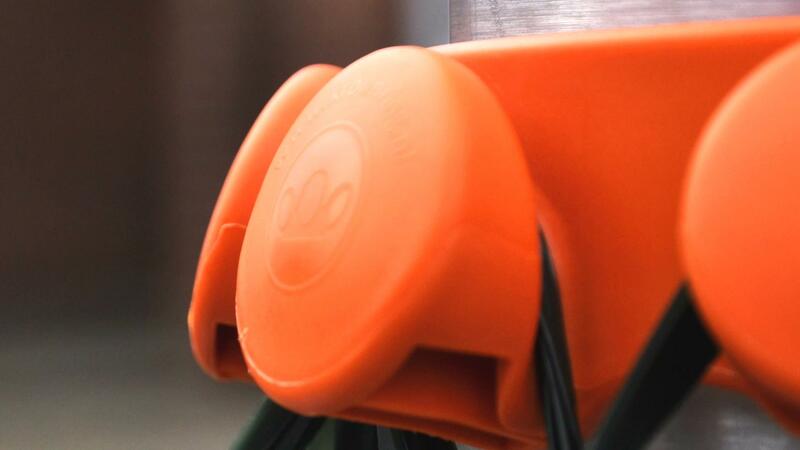 The Kroonring is a safe and sturdy suspension bracket for collecting rubbish bags. The Kroonring is attached to a lamppost or pole and provides multiple households with a place to hang their rubbish bags. The national target for recycling has been set at 75% in 2020. The collection of used plastic, drink cartons and metal makes an important contribution to that process. 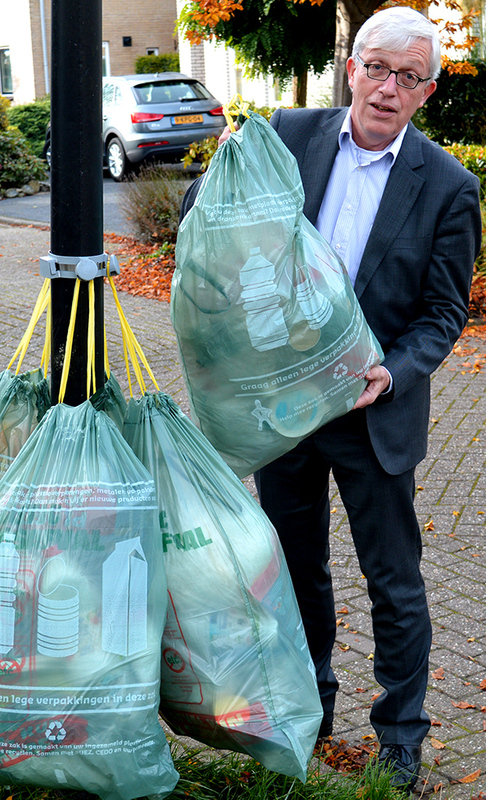 Investigation shows that collecting from residents delivers the best results. The Kroonring is the most ideal collection system; low investment with great and visible success. Experience the advantages of Kroonring yourself too. Request a quote and get a free* sample! *Only applies to governments and waste collectors. The Kroonring is made from 80% recycled plastic and is suitable for long-term use in public spaces. The Kroonring offers a secure fitting thanks to the embedded stainless-steel ring. The design ensures the stainless steel ring does not touch the lamppost or pole. This eliminates contact corrosion. The sturdy round knobs are user-friendly and safe in public spaces. This is why the design was awarded the SME Innovation Award in its year of introduction. The Kroonring will be delivered ready for use, which makes it quick and easy to mount. The Kroonring Flex stainless-steel fastener is completely invisible. The Kroonring is a product of GBO innovation makers. GBO Innovation makers was founded in 1990 and has offices in Helmond, Antwerp and Hong Kong. GBO has been working to contribute to their clients’ success by designing, developing and producing distinctive products for SMEs and multinationals for more than 25 years. GBO: “The Kroonring is our contribution to the circular economy: the recycling and reuse of raw materials”.